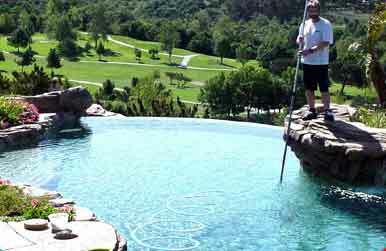 Pool Route Pros, Inc. has come up with a process for our buyers that makes purchasing a pool route a relatively simple process that has proven successful over the past 15 years. Once we have a buyer come to us, whether the buyer is experienced or not, we will send out a list of simple buyer questions that we like to see from all our prospective buyers to really understand what they are looking for in a pool route and what they are trying to accomplish. Once we receive these answers back from our buyers, we will check our pool route inventory to see what we currently have available on the market that fits their search criteria and get the information over to them for their review. 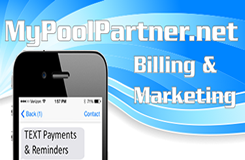 If the pool route is appealing, we will then set up a time for the buyer to go out with our seller and actually see the pools they are interested in purchasing without any money down! With the economic conditions, pool routes are sold very quickly. We pick up pool routes very frequently , so we are constantly getting new pool route listings for all of our buyers that contact us. With the amount of buyers we get compared to sellers, as soon as we pick up a new pool route, it only takes a few phone call to find an interested party. That usually happens before we have time to break down the route and get it on our website. Therefore , it is important for us to know what you want so we can be on the lookout right away for you. If we do not have anything available immediately that suits your needs, we will add you to our new database to join the Route Hunt, so as soon as we pick up a new pool route that matches your search criteria, it will automatically get emailed to you for your review. In the meantime, we email all of our new buyers a water chemistry book so you can start getting acclimated with servicing a pool. As a buyer, once you have been out on a ride-along with one of our sellers and found a route that meets your needs, we will then go proceed with the next phase of purchasing a pool route. First thing we must do is establish when the buyer will take over the pool route they are purchasing and also when training will start, if it is required. Pool Route Pros, Inc. would then collect a deposit from the buyer usually equivalent to two times (2x's) the gross monthly service income to take the route off the market and secure the sale. While waiting for training to start, we have our new buyers come to our office to go over our buyer's packet. If our office is not feasible, then we can send the buyer's packet to you and go over it with you via phone, email, or video conference. You will have the opportunity to look at the seller's records as far as customer history, aging reports, and accounts receivable. Pool Route Pros, Inc. will provide both the buyer and the seller a handful of sample notification letters that will go out at the appropriate time to the customers to inform them of what is going on and to ensure the transition process is as smooth as possible for all parties. Payment for the pool route will be paid in full either by cashier's check, wire transfer, direct deposit, or any other way approved by all parties before the buyer takes over the route and/or starts training. Pool Route Pros, Inc. will hold back ten percent (10%) of the final purchase price in an trust fund account for the duration of the guarantee period, which is usually sixty to ninety (60 - 90) days. Pool Route Pros, Inc. will be in constant contact with the buyer and seller during the guarantee period to stay up to date on the take-over and how the transition is going. Once the guarantee period is up, Pool Route Pros, Inc. will be in contact with both parties and disperse the trust funds accordingly. Pool Route Pros, Inc. is always available for any extra consulting or questions after the pool route sale is final. 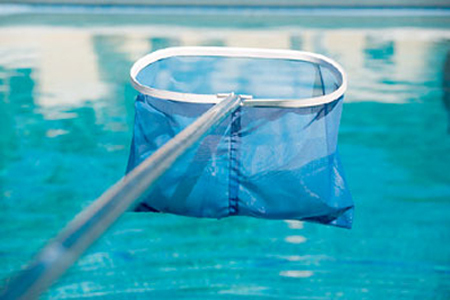 We are always here to help with any and all of your pool-related needs.